Living in Boulder, CO, offers many advantages and great opportunities. With more than 300 days of sunshine every year, plus access to the beautiful Rocky Mountains, you’ll find Boulder provides a unique mix of an excellent location and outstanding environment that everyone enjoys! From attending the University of Colorado to hiking the Flatirons, working in a technology startup or visiting a brewery, residents of Boulder like to work hard and play hard. 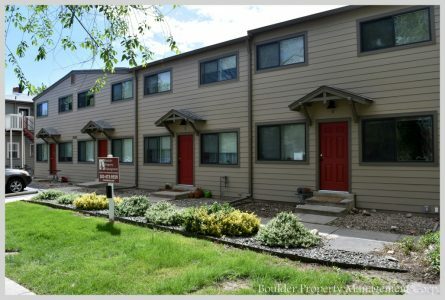 When the time is right for you to move to Boulder, you will have the opportunity to choose from hundreds of different types of apartments to rent in Boulder, since Boulder Property Management has the largest inventory of apartments in the city. In conjunction with offering potential tenants such an extensive inventory of apartments for rent, Boulder Property Management caters to both young professionals and students alike, looking for different types of apartments and flexibility in leasing terms. If you’re looking for short-term apartments for rent, we often offer a selection of sublet opportunities. Not sure what the best location in Boulder is for your housing needs? We can help with that too! Our expert leasing agents know the many neighborhoods, schools, access to CU, proximity to public transportation and much more to get you settled into just the right place for your needs. Why rely on Boulder Property Management to find apartments for rent? Because we’ve worked in Boulder since 1993 – for 25 years! – finding clients the perfect property for the right price. We are a full-service management company, and as it relates to the maintenance department, our techs are available 24 hours a day, seven days a week (24/7) for normal repairs and for any and all emergency maintenance issues that may arise. We are experts in the local Boulder and CU housing markets and provide the best selection of apartments for rent! Please take the time to view our current list of apartments that are available for rent, and don’t hesitate to contact Boulder Property Management’s Leasing Team to help determine the best housing options for you!